Kenneth Clark was many things in his professional life: scholar, educator, patron, writer, administrator, broadcaster and impresario. In all of these capacities he remained dedicated to his central belief in the vital importance of art for human life. Kenneth McKenzie Clark, Baron Clark OM CH KCB FBA (13 July 1903-21 May 1983) was one of the best-known art historians and aestheticians of his generation, writing a series of books that appealed to a wide public while remaining a serious scholar. In 1969, he achieved international fame as the writer, producer and presenter of the BBC Television series Civilisation, which pioneered television documentary series combining expert personalised narration with lavish photography on location. Greatly influenced by John Ruskin and a protégé of the most influential art critic of the time, Bernard Berenson, Clark quickly became the British art establishment’s most respected aesthetician. After a stint as fine art curator at Oxford’s Ashmolean Museum, in 1933 at the age of 30, Clark was appointed director of the National Gallery. He remains the youngest person ever to hold the post. The following year he also became Surveyor of the King’s Pictures, a post he held until 1945. As Director of the National Gallery he oversaw the successful relocation and storage of the collection to avoid the Blitz and continued a programme of concerts and performances. Clark was an influential supporter of Henry Moore, Graham Sutherland and others, as Chairman of the War Artists’ Advisory Committee, he persuaded the government not to conscript artists thus ensuring that Moore and others found work. As Director of The National Gallery he wrote Southampton Art Gallery’s acquisitions policy which included “a growing collection of modern oil paintings”. He was also an advisor to the Ministry of Information commissioning Dylan Thomas amongst others to write scripts for propaganda films. In 1953, Clark bought Saltwood Castle in Kent. Kenneth Clark was created Knight Commander of the Order of the Bath (KCB) in 1938, and made a Companion of Honour (CH) in 1959. He was appointed to the Order of Merit (OM) in 1976. In 1959, he received the Grand Decoration with Sash for Services to the Republic of Austria. 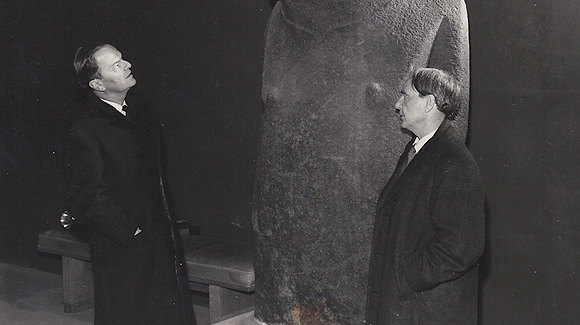 Clark was chancellor of the University of York from 1967 to 1978 and a trustee of the British Museum. He was awarded a life peerage in 1969, taking the title Baron Clark of Saltwood in the County of Kent (the British satirical magazine Private Eye nicknamed him Lord Clark of Civilisation). In 1972, he was awarded an honorary degree (Doctor of Letters) from the University of Bath. In 1975 he supported the campaign to create a separate Turner Gallery for the Turner Bequest, and in 1980 agreed to open a symposium on Turner at the University of York, of which he had been chancellor, but illness compelled him to back out of that commitment, which Lord Harewood undertook in his place. His wife Jane died in 1976, and the following year Lord Clark married Nolwen de Janzé-Rice. Civilisation: A Personal View by Kenneth Clark was a television documentary series outlining the history of Western art, architecture and philosophy since the Dark Ages. The series was produced by the BBC and aired in 1969 on BBC2. 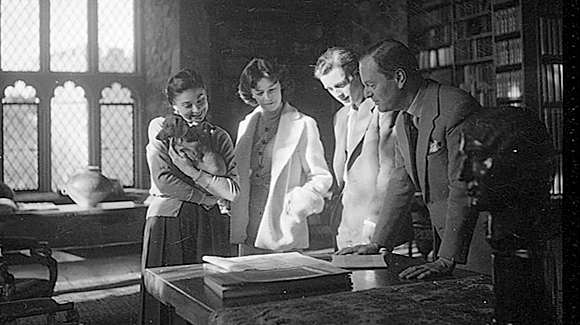 Both the television scripts and the accompanying book version were written by art historian Lord Clark (1903-1983), who also presented the series. The series is considered to be a landmark in British Television’s broadcasting of the visual arts. Civilisation was one of the first United Kingdom television documentary series made in colour, commissioned during David Attenborough’s controllership of BBC2. For technical reasons, colour television was to come to BBC2 before BBC1 and, as a channel aimed at a more highbrow audience, it was appropriate to commission a major series about the arts. It was Attenborough who prompted the title, but because of time constraints the series only covered Western Civilisation. Clark did not “suppose that anyone could be so obtuse as to think I had forgotten about the great civilisations of the pre-Christian era and the east”, though the title continued to worry him. Civilisation was a 13 part documentary outlining the history of Western art, architecture and philosophy since the Dark Ages. The series was produced by the BBC and aired in 1969 on BBC2. Then, and in later transmissions in Britain, the US and other countries it reached an unprecedented number of viewers for an art series. The BBC have recently aired Civilisations as a follow-up to the original 1969 landmark series presented by Simon Schama, Mary Beard, David Olusoga.